William Lavell continues to raise awareness bringing to light the devastating effects of gambling on the individual and the rippling challenges it can cause to family and other crucial parts of our lives. A problem that is seldom talked about, gambling is often a hidden, secret sin; we've heard the phrase, "What happens in Vegas stays in Vegas." Lavell has personally witnessed the pain and tragic losses that accompany this debilitating disease. When we think of land mines, we imagine hidden bombs ready to cause great devastation if stumbled upon. 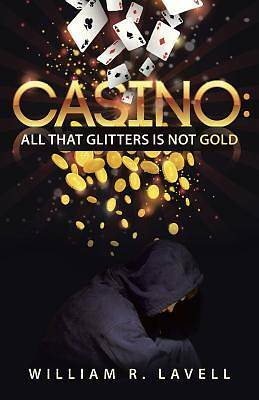 His belief is that because of our human instinct of curiosity, we may see a glimmering building, with all its glamour, that can blind us to the hidden pitfalls of gambling lurking behind doors. He also believes that curiosity has led to countless innocent people succumbing or falling prey to the big draw of the casino's glimmering neon lights and its lure for riches. Many have been blinded by them and have staggered into the destructive minefields of gambling. In his book, he shares and brings to light what he has learned. Lavell's book takes readers deep through the dark stages and perils of gambling, unfortunately leaving a universal trail of victims. He believes no one should be left behind in the casino's mire without hope. His book helps point us to a path of hope and healing, turning tragedy into triumph and even emerging grateful over our struggle.